The plank has become the go-to exercise for those wanting strong abs. From beginner plank poses to ultra-hard plank variations, there are endless ways to get strong with the plank. If you are looking for a further challenge, here’s a move that will really impress the audience. The front lever needs strength, stamina and patience. You will need to be solidly able to do a pull-up on a high bar. This works different muscles from the plank, so get your pull up nailed first. You should be able to do ten controlled pull ups easily before you even think about the front lever. You will also need strong arms and a strong core. The front lever is a suspended plank, face up and hanging from a bar by only your hands. To start, grab the bar with hands shoulder width apart. Pull up and then curl your body to keep the centre of gravity near your hands. Keep toes pointing up and soles of feet vertical. As you progress, gradually extend your legs, with toes pointing forward and soles horizontal. This moves the weight of your legs and feet further from your arms, and the exercise becomes harder. You may want to break this down by extending one leg at a time. 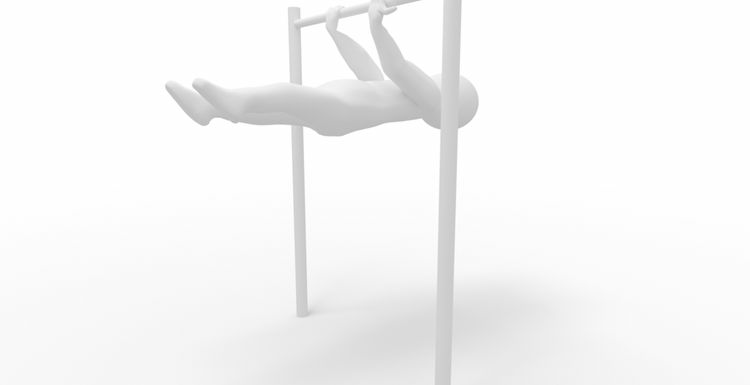 The final stage is the full front lever, with body and legs both straight. Don’t be impatient. Your arms, back and core need to be well-trained to meet the demands of this move. Warm up first to get the blood flowing for strong muscles. Make sure the bar or handles are up to the strain of the move. You do not want a flat on your back fall! A graceful move showcasing the strength from a lot of hard work – if you can do it, show it off! I have seen people in our local park doing the human flag. I assume it's when they hold their body sideways from a pole? I didn't even know it was called that!